Comic-Con season is the geekiest time of the year. Every day there’s a new thing to go nuts over. 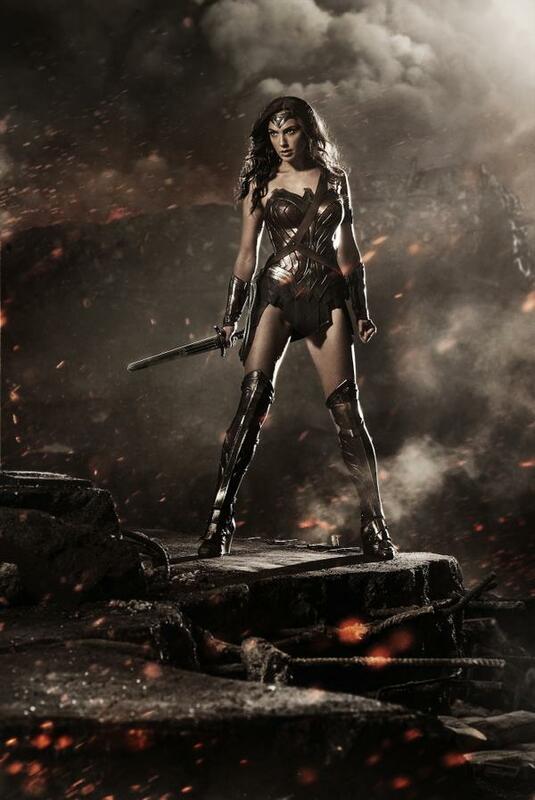 This time it’s Wonder Woman’s costume in Batman v. Superman: Dawn of Justice (the worst name ever). I like it, and Gal Gadot looks great in it (what doesn’t she look great in?). I picture Wonder Woman as more muscular, but it’s not my movie, I’m not the casting director. Gadot brings star power, if a lack of acting chops (the awful Fast and the Furious Series doesn’t count) and star power brings in the Muggles who wouldn’t normally see a comic book movie. Gal Gadot is a model, not an actress, and that concerns me with how they’re going to write and direct Wonder Woman. Notice that her costume has muted colors, similar to Superman and Batman in the previous movies. Does this mean that Batman v. Superman is going to be as dark and morally ambiguous as its predecessors? Probably, and that’s the problem. It’s like Snyder played DC: Injustice and suddenly thinks he understands what’s going on. DC keeps going for these dark movies, and that’s not true to the characters. Yes, it worked for Batman (to an extent), but that’s because Batman is meant to be dark. Most comic heroes aren’t. Superman is not dark. He’s the paragon of all that’s good in the world (next to Captain Marvel). On an aside, I always thought it poetic that an alien is the best example for humanity. This is not 300, and this is not Watchmen. Snyder does not understand the characters that he is trying to portray. I love Wonder Woman. Not in a pervy fanboy kind of way, but as a character. She is one of the most complex characters in fiction, a blend of divine warrior, compassionate human, uncomfortable diplomat, and lonely, stoic outsider. She is impossible to portray correctly as a supporting character in this movie. I doubt that anyone could even get her right in her own movie, which is a shame, because someone should try. I suggest that Snyder look to the old Justice League cartoon from the early 2000s. They had a firm grasp on the characters, mostly because it was actual comic book writers doing it. Dark movies do not equate to good movies. You only have to look at what Marvel is doing right to see what DC is doing wrong. Like my blog? Check out my debut novel Song of Simon, from Damnation Books, or check out my free, completed webserial, The Watchmage of Old New York. Or just come back here again. I’m pretty damn awesome. This entry was posted in Comics/Books, TV/Movies and tagged batman, comics, dc comcis, gal godot, movies, superman, wonder woman by C. A. Sanders. Bookmark the permalink.